Nevada serigala. . Wallpaper and background images in the serigala club tagged: wolf forest seirra nevada brown gold crimson pelt beautiful laying. It has such a special color! Amazing! This isnt a wolf in no way shape or form.At best he may be a low contenet wolfDOG . my rydag is 60% timber wolf and looks a whole hell of alot more wolfy than this . 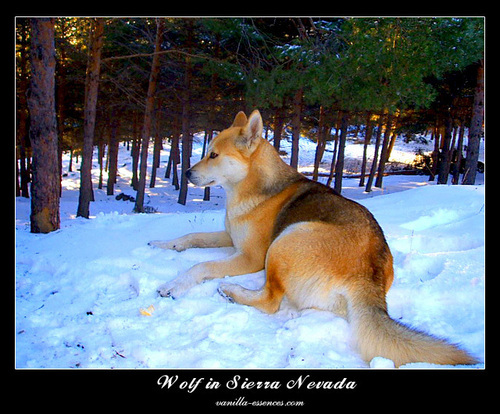 its head is too round and squat the eyes are not the typical black rimmed yellow eyes the orange color is not natural for a wolf. and his tal is white and not black tipped like all grey wolves with this pattern. bonnie shecley is a good one to ask she breeds them .